1. Wear the same bra for a couple of times before throwing it in for a wash! Hey, we gotta make sure those underwires aren’t ruined by too frequent cleaning. 2. Let the hair on our legs or bodies just be. Especially in the winter! Unless we have to wear a dress or know that someone else might see it soon! 3. Obsess far too much about the shape of our eyebrows. I mean, they are important! 4. Dance in front of the mirror! 5. Check out other girls all the time! And not just their clothes or bags or shoes, even their bodies! 6. 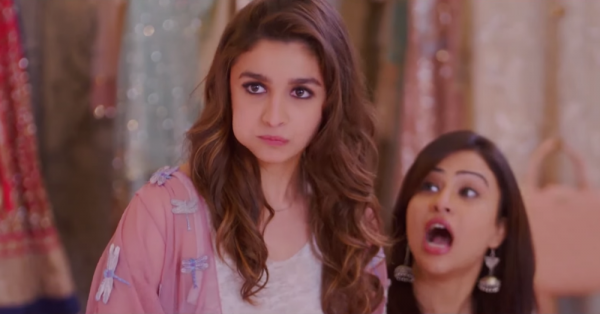 Literally go into panic mode if we realize just before going out that we’ve run out of kajal! Obviously! Kajal can basically transform your look, no? 7. Dress to impress other girls, not guys! Seriously, boys just don’t appreciate our well-thought-out outfits as much as girls do! We could be tired or hungry or both! OR we could be PMSing. Although we will never ever admit to it. Not all the time, of course! But we don’t really care about changing in front of our friends! GIFs: Giphy HAVE A STORY IDEA FOR POPxo? If you want to hear about it, we can write about it! Just tell us your idea here! MUST-READ: 9 Things Girls HATE Doing… But We Do Them Anyway! MUST-READ: #GirlsOnly: 7 Things Women Can Do That Men Wish They Could!